Try TORUS Roundabouts. Request the trial today. 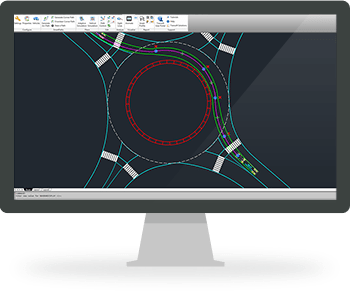 Take the creation of single and multilane roundabouts to another level of productivity with full control and feedback during the roundabout design process. With TORUS®, designing optimal roundabouts that meet traffic operations and safety objectives has never been easier. You have successfully registered for the trial evaluation of TORUS Roundabouts. A product advisor will contact you shortly with further instructions regarding your evaluation copy of the software.